Developments | Moffat & Co.
Susan will be retiring from private practice and leaving Moffat & Co., effective March 1, 2019. We wish her all the best in her new career. 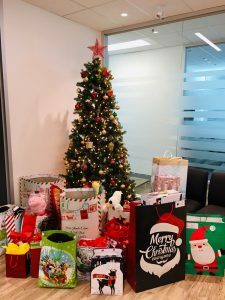 Moffat & Co. are happy to participate in the Elgin Street Courthouse Angel Program again in 2018! The gifts are for needy children in our community. Moffat & Co. Hosts Reception in Brazil. Moffat & Co. was honoured to co-host a dinner reception with the Consul General of Canada, Mrs. Evelyne Coulombe, at her Official Residence in Rio de Janeiro, Brazil, on November 30, 2018. The reception took place a few days after the Inter American Intellectual Property Association (ASIPI) annual meeting, also held in Rio, which was attended by our partners Eduardo Fonseca and James Palmer. The dinner was a great opportunity to celebrate with the firms and companies from Rio who have entrusted their business to our firm. It was also a chance for all the participants to discuss future cooperation and partnerships. 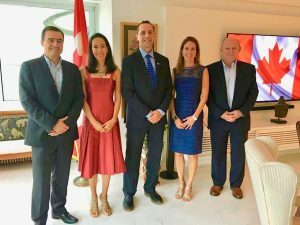 The Canadian Consulate in Rio is very active in the development of business relations between Canadian and Brazilian entrepreneurs. Moffat & Co. is pleased and proud to successfully assist these entrepreneurs and we hope that these partnerships endure. 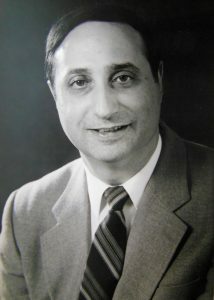 Continue reading Howard Knopf’s blog post here. 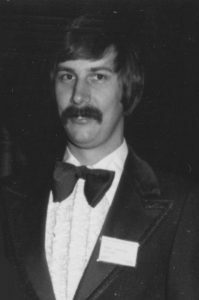 More from Howard Knopf On Mass Copyright Litigation in Canada – Part II. Read BLOG POST from Howard Knopf on this issue. More from Howard Knopf On Mass Copyright Litigation in Canada – Part I.
Howard Knopf’s recent paper titled “Canada’s Role in the Relationship of Trade and Intellectual Property” has been published as Paper #17 in the series “Canada in International Law at 150 and Beyond” by the Centre for International Governance Innovation (“CIGIO”). You can view the paper by clicking Learn More.